Although the US Government shifted diplomatic recognition to Mainland China in 1979, the relationships between America and Taipei are strong, in particular in terms of defence partnership and arms trade. A senior U.S. diplomat dealing with Taiwan said Tuesday [30 November 2010] that America has an "intimate" defense relationship with the democratic island - a comment likely to anger China, which claims Taiwan as its own. Defense links between the U.S. and Taiwan constitute "an intimate relationship," Raymond Burghardt told a U.S. business group in Taipei. "There is interaction every day," he added, specifically mentioning military training and intelligence sharing. China considers any American defense relationship with Taipei as interference in its internal affairs. Burghardt said the Obama administration has yet to make a decision on Taiwan's requests to upgrade its fleet of U.S.-made F-16 A/B jet fighters and to procure the more advanced F-16 C/D model. But he insisted the U.S.-Taiwan defense relationship "is so much more than the sale of arms." "We haven't said yes or no" on the F-16s, said Burghardt, who is the chairman of the American Institute on Taiwan, the de facto U.S. Embassy established in 1979 when Washington transferred its diplomatic recognition from Taipei to Beijing. Burghardt's remarks on close U.S.-Taiwan defense ties coincide with heightened Chinese concern about the U.S. role in Asia, including Washington's commitment to provide the island the means to defend itself against a possible Chinese attack. In late June Beijing criticized Secretary of State Hillary Clinton's assertion the U.S. sees China's offshore territorial disputes with a number of Southeast Asian countries as a matter of American national concern. The island split from the mainland amid civil war in 1949. 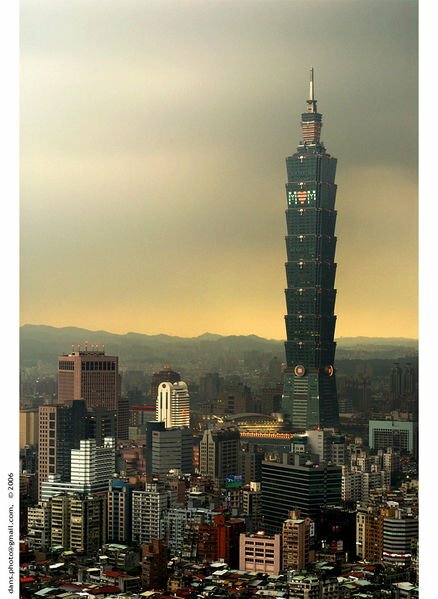 Despite Washington's transfer of diplomatic recognition, Taiwan still sees it as its most important defense benefactor. Over the past decade or so its average annual imports of U.S. arms have been valued at more than $1 billion.